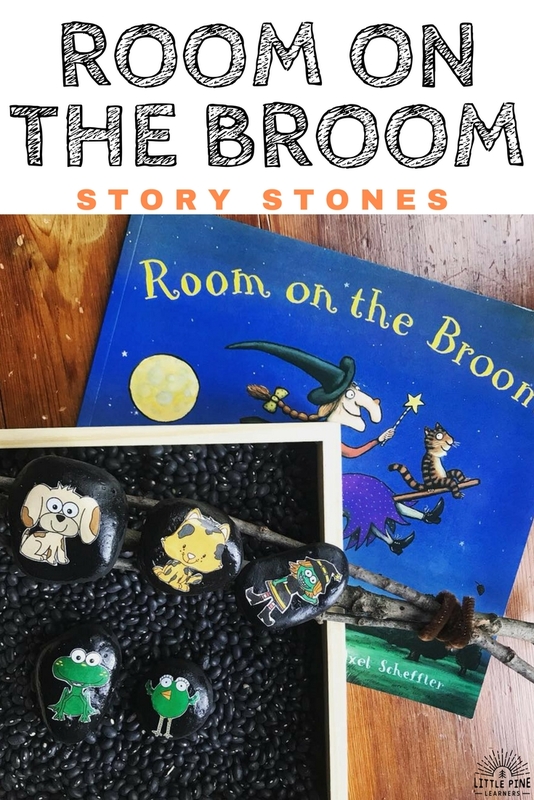 Retell the story Room on the Broom with story stones and clothespin characters! 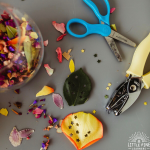 Your child will love these hands-on activities. 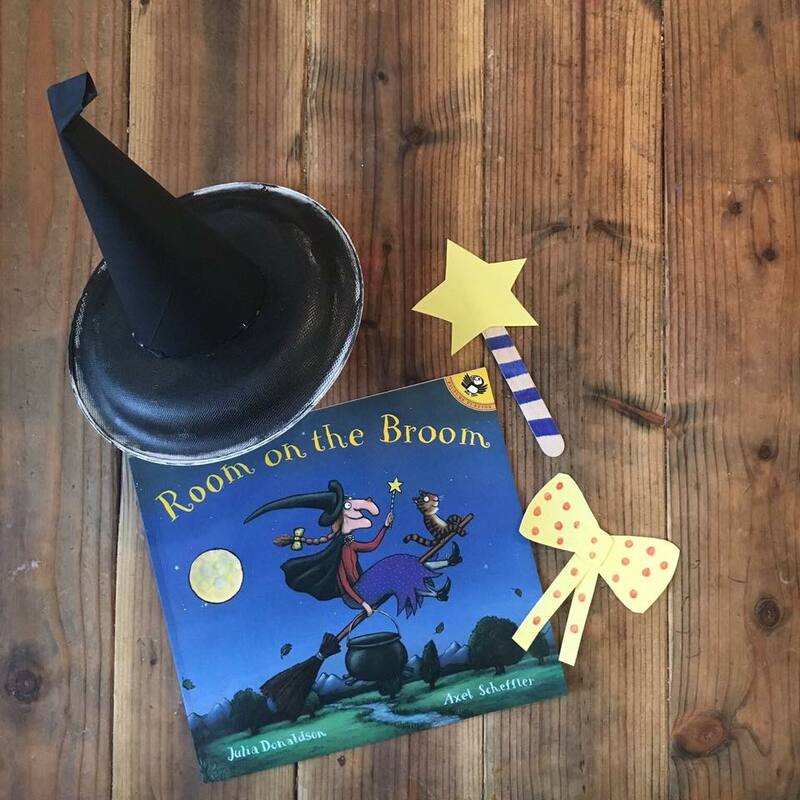 Recently I teamed up with four amazing bloggers to share crafts and activities to go along with the book Room on the Broom by Julia Donaldson. I decided to focus on the skill of story retelling through sequencing. Story sequencing is one of the many skills that contributes to children’s ability to comprehend what they read. 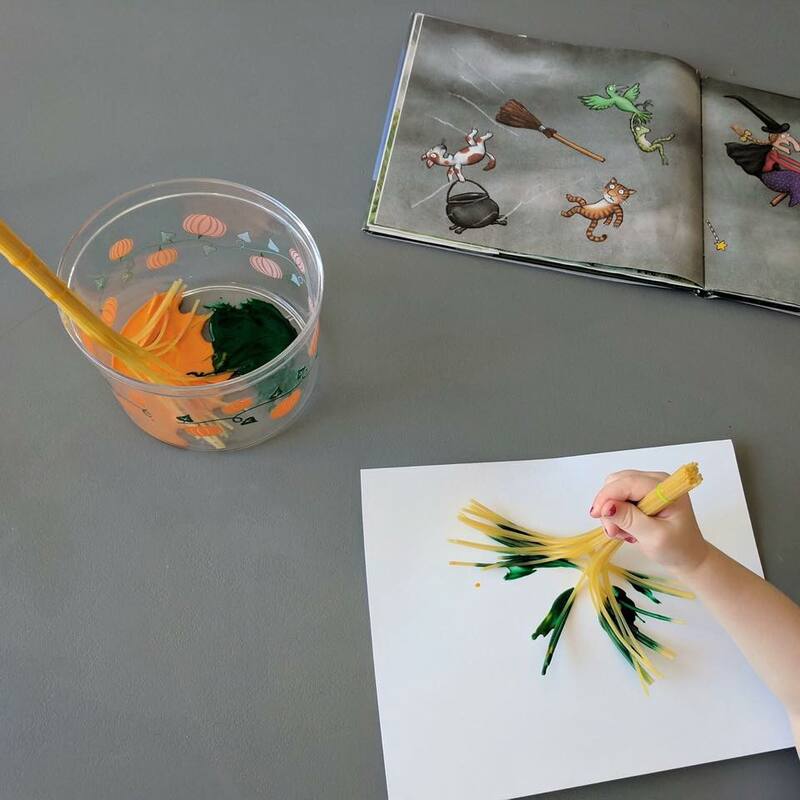 When presented in a hands-on way, children are more engaged in their learning and retain more information! 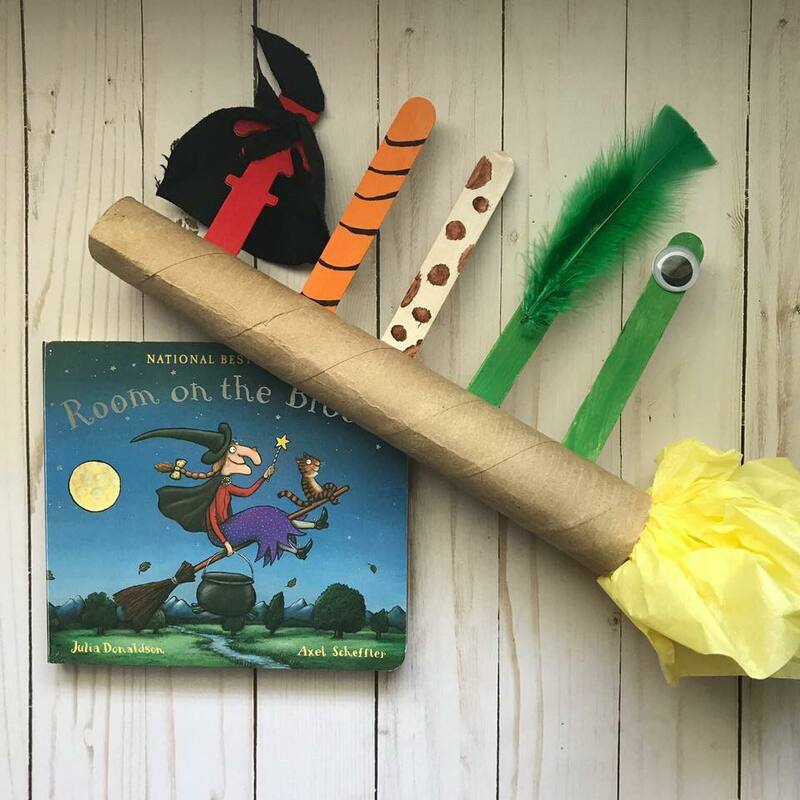 Below you will find two ways to retell the story along with activities from the other four bloggers! My boys painted five stones black and waited for them to dry. I cut out the graphics. 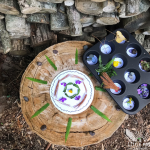 We used Mod Podge to glue and seal the graphics onto the stones. They turned out so cute and my boys loved playing with them in different ways. 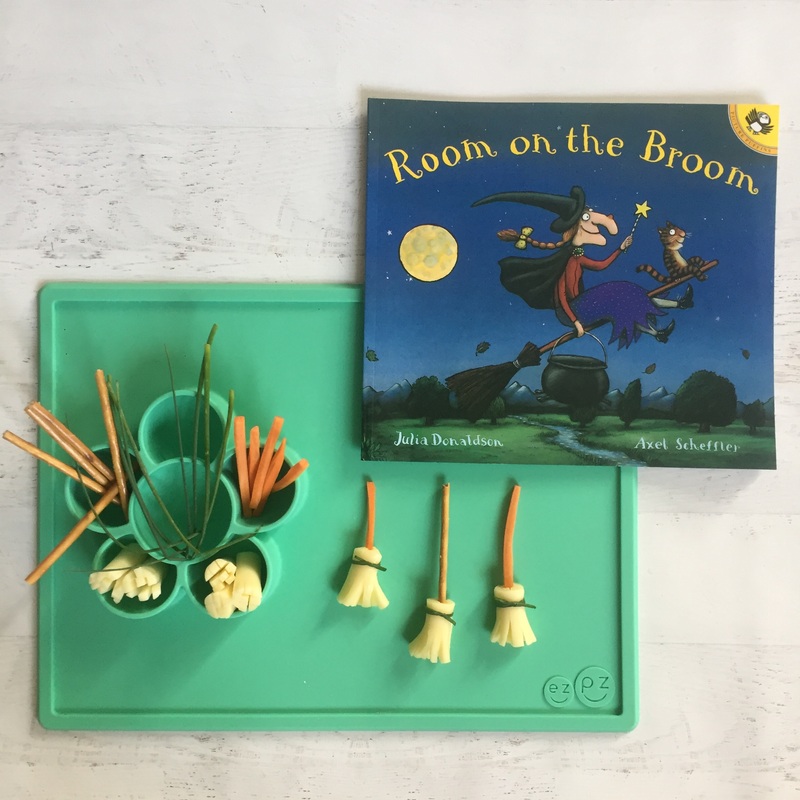 They made a broomstick out of sticks and pipe cleaners and then balanced the stones on the broomstick as they retold the story. 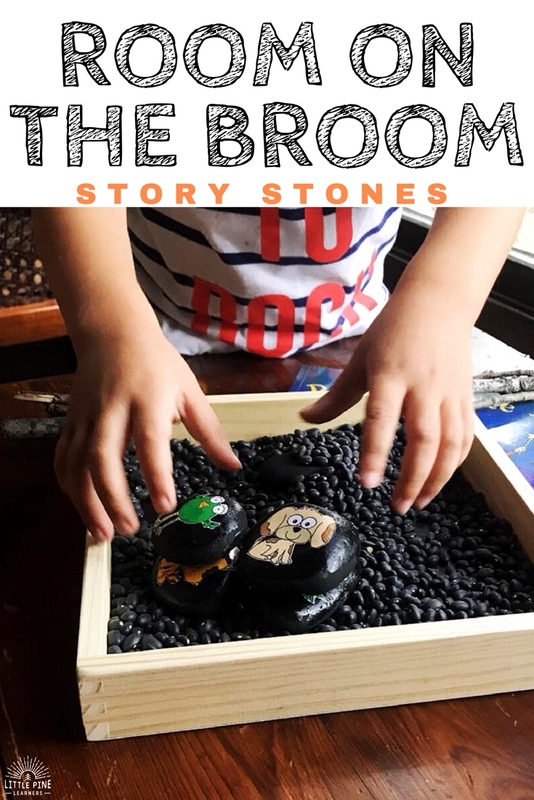 My four year old also tried to stack the stones in the order that the characters got on the broomstick and recreated the muddy beast scene by stacking the stones in heaps. My two year old got in on the action by covering the beast with the black beans in our sensory box! Cut out the five clothespin characters. I suggest copying on cardstock and laminating for long term use. 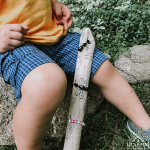 My boys had so much fun with these! 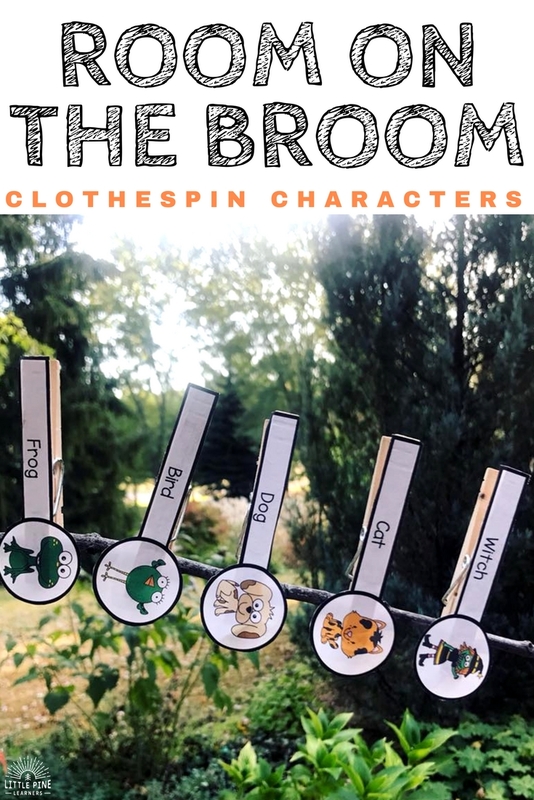 We searched our yard for a stick and clipped the clothespins in the order the characters got on the broomstick. We stayed outside and cruised the broomstick around the yard! This was a fun way to burn extra energy! 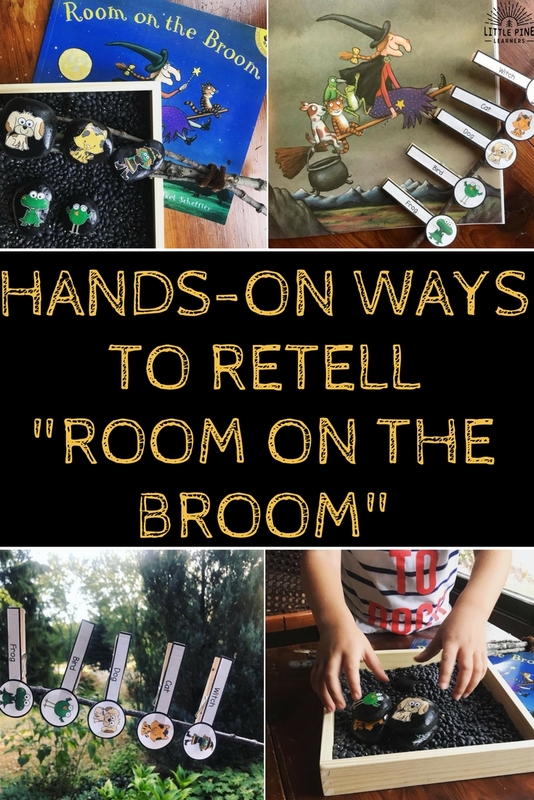 If you love these ideas, you MUST check out these awesome activities for Room on the Broom!